Today we’re interviewing Luca Stanga, who has a rather interesting story to tell us since he teaches English in China on a work visa, which shows that such an objective is not impossible for those who aren’t born into an English-speaking country so long as they have the right skills! Luca, what work do you do in China and when did you get there? 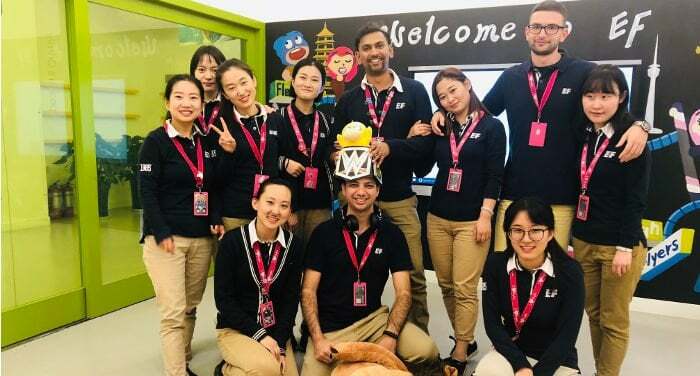 I work at an English private school for children in Xi’an. The school is a franchise run by the company Education First. I work in the afternoons and on weekends since in the mornings the students attend public school. My work can be subdivided into three areas: lesson planning, teaching and extra activities to promote the institute. Planning lessons takes time and imagination, but supplementary material is provided and you can always ask for advice from colleagues or the director of studies. There are about 12 to 14 students in a class, and in my case, the ages vary between 3 and 10 years old. Since the students are so young, each class is assigned a Chinese national teacher who gives support. I’ve been working here for six months and am very happy with the professional experience that I’m developing, also thanks to the fact both the director and vice-director are professionals in their field and know their trade well. My contract expires in September but I’m thinking about signing on for another year because there are many elements of this company that I consider to be positive. Today we’re interviewing Gessica Cipriano, a classical dance teacher in Jishou, a city located in Hunan Province. If you’d like to learn more about Gessica and her adventures in China, take a look at her YouTube channel. Gessica, first of all thanks for agreeing to answer my questions. Many people ask us how to find a job in China, so let’s start there. How did you get them to take you on as a classical dance teacher at a Chinese university? 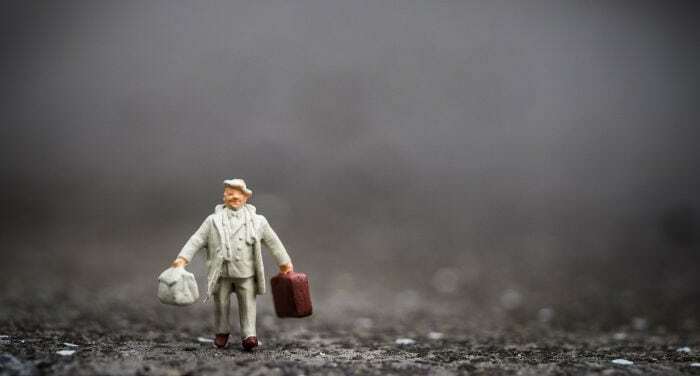 Since 2015 I traveled throughout the United States and a little bit in Germany to learn what type of work opportunities can be found abroad in my field, and I dreamed a lot about these two possible destinations. I never actually thought of China and knew nothing about it. In Spring of 2017, the university’s own international office saw my professional profile online and contacted me about the classical dance teacher position that was open, asking me if I was interested in applying. Originally I didn’t think I’d want to consider the offer, because even though I’m inclined to traveling and moving around, I never considered Asia, other than a far off fantasy of Japan, but only as a tourist. However I believe that China literally “called” me in some inexplicable metaphysical way, because, despite my rational side’s unwillingness to accept the idea, my subconscious began suddenly experiencing sleepless nights, almost unwitting daydreams and fantasies about this far off and mysterious world. Today we’ll interview Claudio Piani, who teaches physical education in the city of Shenzhen. You can follow Claudio’s adventures on his blog, Piani per la Cina (?). If you’re interested in finding a job in China as a teacher (not just for physical education) I think you’ll find this interview extremely interesting! Claudio, first of all thanks for agreeing to respond to my questions. Let’s get started right away: what gave you the idea to move to and work in China? Hello to all the readers of “Taste of China” and thank you Furio for this motivating interview. I came up with the idea of moving to China to work about two years ago for various reasons. In 2014 I resigned from my job as a sporting operator in Milan to take an overland trip through Asia and Oceania. The “pilgrimage” unexpectedly lasted for more than two years, in which I had the good fortune to cross China twice, first from north to south (Autumn 2014) and then from West to East (Summer 2016), causing me to fall in love with it. 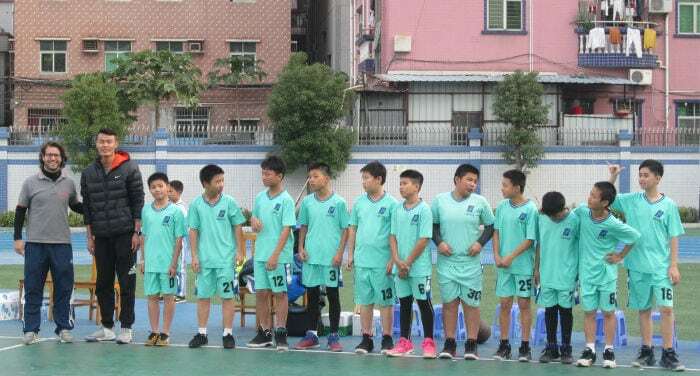 It was actually during this period that I got the idea to move there to work, supported in part by the Chinese passion for basketball, the sport I taught in Italy. 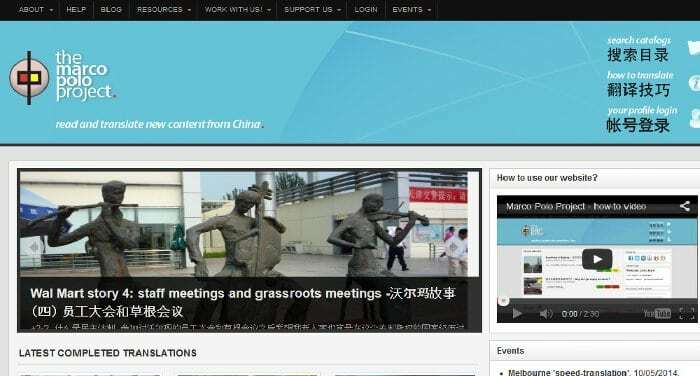 Today we interview Reuven Lerner, founder of Mandarin Weekly, a website (and weekly newsletter) that provides you the last news and tools for learning Chinese online. 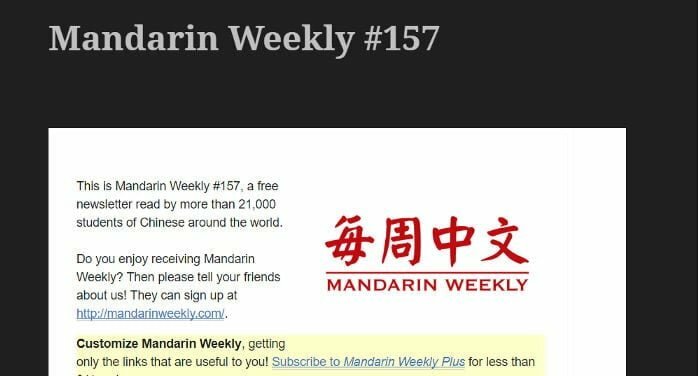 I discovered Mandarin Weekly years ago, while I was researching new Chinese learning tools for updating our articles on “Free Resources to Learn Chinese Online“. I’m a subscriber since then. Reuven, thank you for accepting this interview. Can you tell us something about your background and how you got into Chinese language? I have been a software consultant with my own business since 1995. Over the last decade, most of my work has been as a trainer, going to high-tech companies and teaching their programmers the tools and technologies that I know well – Python, Git, and data science. (If you don’t know what those are, that’s fine!). About five years ago, a training company based in China asked me to come and teach some courses at their clients’ offices. The courses went well, and I’ve been traveling to China 3-5 times each year ever since. I mostly go to Beijing and Shanghai, but was fortunate enough to go to Nanjing about two years ago, too. In today’s interview, we chat with Paula Vexlir, a clinical psychologist and founder of the website ExpatPsi, an online platform for psychological support and information for Spanish-speaking expats. Hi Paula, thank you for accepting to do this interview. Can you explain to our readers a bit about what ExpatPsi is and the services you offer? Thank you for inviting me. ExpatPsi was the result of many years of work helping expats and immigrants. I am a clinical psychologist and around 2002, I started to specialize in this field. I started to notice issues that repeated and faced with the lack of literature on the subject, I began research to evaluate the differences in the immigration of Spanish speakers. ExpatPsi has three important aspects. One is its online psychology sessions so that people living outside of their country of origin can access a space in their native language with someone who understands their specific problem well. The second is a blog on which I share information, tools, theories, etc. with the end goal of helping through preventative care. Last of all, this year I also started to create courses and books to be able to help more people. using our exclusive discount code “sdctcb1523”! Today we interview Sean McGibney, Chief Marketing Officer of The Chairman’s Bao, a website dedicated to people that want to learn Chinese we discovered the past month. Sean, thank you for accepting this interview. What is The Chairman’s Bao and in what way is different from the hundreds of websites that focus on Chinese learning? 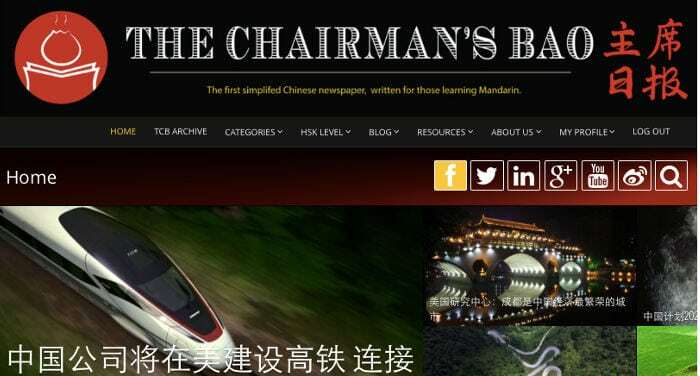 We set out with one simple aim in creating The Chairman’s Bao (TCB) – to create engaging, informative and interesting levelled content for those who learn Chinese. It offers a great sense of achievement to be able to read news in a target language, but the nature of Chinese makes it extremely difficult for non-native speakers to read newspapers. Add into the mix a gap in intermediate to advanced resources for learning Chinese and TCB was born! How and when was your online newspaper born? In reality TCB was a couple of years in the planning but the website launched back in January 2015. It has been a rollercoaster 10 months but one that has also been greatly rewarding for all involved. Let’s suppose I’m studying Chinese and I end up on your website for the first time. How can I make the most of it? 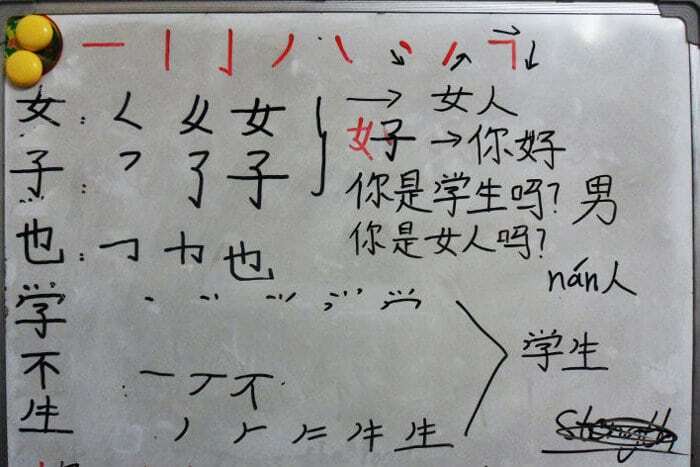 We start writing articles at HSK 3, so ideally users will already have a solid knowledge of beginner’s Chinese. Upon signing up to the website, you not only have access to our full back catalogue of articles, but also a whole host of interactive features such as a live dictionary that scrolls as you read, intelligent flashcard system, audio for every article, and much more. Today we’ll discuss with Gaetan Green, the founder of Travel Cathay, a website dedicated to the off-the-beaten path places in China. 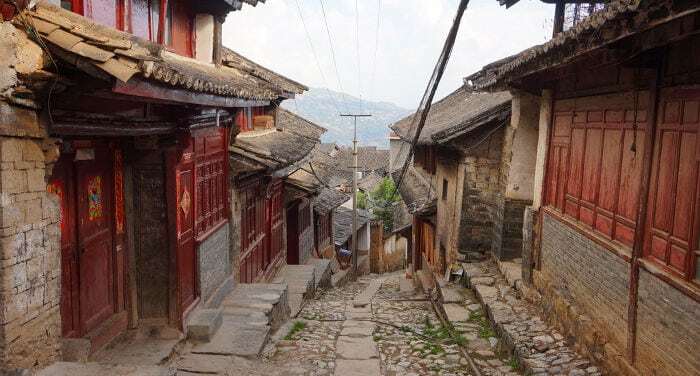 If you’re interested on travel tips, history and traditions of Chinese remote areas, I advice you to check Gaetan’s website! Gaetan, first of all thank for accepting to talk with me. When and why you ended up in China? Thank you for having me on Sapore di Cina. In today’s interview I’ll discuss with Ted Rule, one of the authors of “Shenzhen: The Book“, a comprehensive guide for traveling and living in Shenzhen. I read the book last week and I must say that Ted and Karen, who first arrived in Shenzhen in 1971, did a great job on both describing what you can do and see in Shenzhen and conveying the atmosphere of this metropolis that, only 40 years ago, was just a village. Ted, first of all, thank you for accepting this interview. Your book starts with a couple of Chinese sayings. The one I liked the most is this: “If you love him, send him to Shenzhen. Heaven’s there. If you hate him, send him to Shenzhen. Hell’s there,” which remember me the saying “Sir, when a man is tired of London, he is tired of life; for there is in London all that life can afford” of Samuel Johnson. 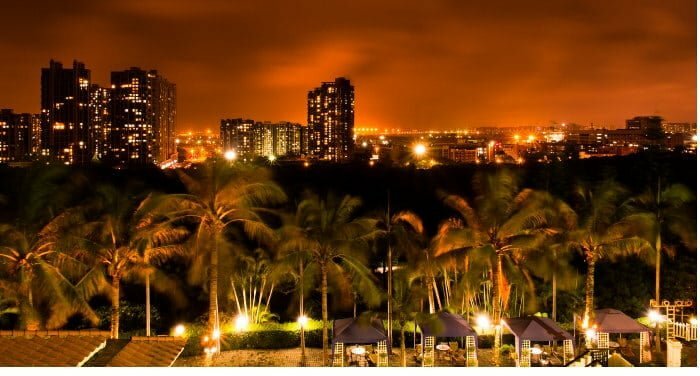 What is, in your opinion, that makes Shenzhen so different from the other Chinese cities? 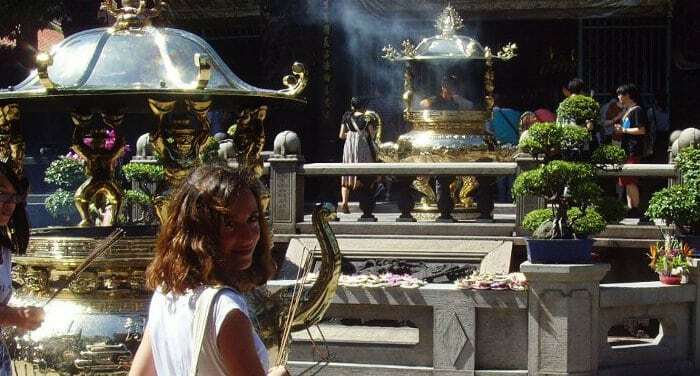 In today’s interview we’ll be talking with Chiara Romano, who is 22 years old and since last August has lived in Qinhuangdao, where she is studying Chinese thanks to a scholarship from the Confucius Institute. Chiara, what are the minimum requirements to obtain a scholarship from the Confucius Institute? Hi Furio! Getting a scholarship from the Confucius Institute (which is actually promoted by Hanban, the “head office” of the Confucius Institutes worldwide) isn’t too difficult. First of all you have to choose what sort of experience you’re looking for: there are various scholarships, offering periods of study between six months and a year, as well as scholarships to graduate both with a three year degree or teaching degree in China, or still other scholarships centered on the teaching of Chinese. All in all there are a lot of possibilities! To apply for any of these scholarships you must be between the ages of 16 and 35 and must pass the HSK (Hanyu Shuiping Kaoshi, Knowledge of Chinese Language for Foreginers Test) exam and the HSKK (similar to the first one, without having to write Chinese characters). Today I’ve the honor to interview Fiona, the soul of Life on Nanchang Lu, the place where you shall go if you want to learn more about food – especially street food, – in Shanghai. Fiona, you define yourself as a Foodie, Writer, Photographer and Expert dumpling taster. I want to start with the most important question: What is, in your opinion, the best dumpling’s fanguanr of Shanghai? I have a soft spot for The Humble Room at 601 Nanchang Lu. Now it’s opposite the bright and shiny IAPM Mall so it looks even more humble, but it has some of the very tastiest (and cheapest) xiaolongbao in the city. 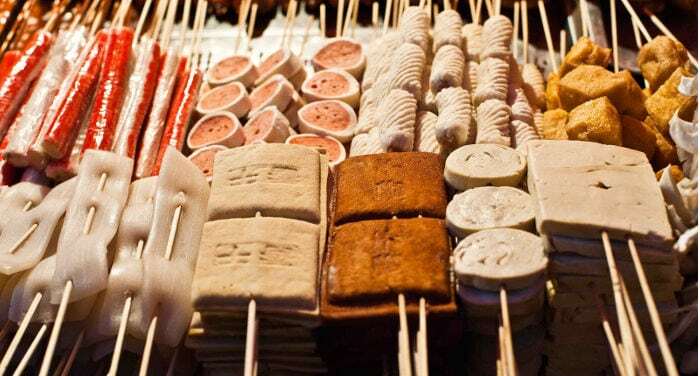 In your series about Shanghai Street Food, you list 36 different kind of street foods. Let’s say I’m in Shanghai only for a day and my goal is to learn as much as I can about the topic. Where should I go and what would you suggest me to taste? 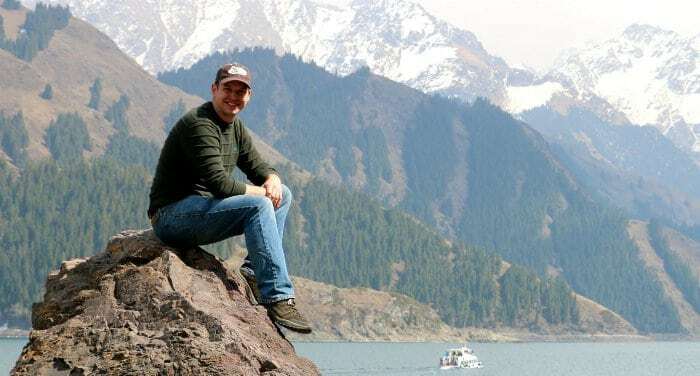 Today we’re going to talk with Josh Summers, the founder of Far West China, as far as I know the best website dedicated to Xinjiang, one of less known and most beautiful provinces of China. Josh, thank you for accepting to answer to some questions for SDC. You arrived in Urumqi, the capital of Xinjiang, in 2006. How did you end up there? My pleasure! I’m honored to chat. Our arrival in Xinjiang back in 2006 is a long story that can be summed up in pretty much one word: “accident”. Seriously, who in their right mind travels halfway across the world to a place they can barely find on a map, much less properly pronounce? People who don’t know what they’re getting into, that’s who. Today we discuss with Teresa Pisanò who, after living for five years in Shanghai, in 2011 moved to Taipei, where she still lives. Teresa, you told me that you studied at the Department of Oriental Language and Culture of University of Venice, which I believe is the most prestigious department in Italy, when it comes down to Oriental languages. I know it because I receive many inquires from students of Chinese language that would like to move to China but don’t know how to realize their dream. When did you arrive to China and, most important, how were you able to arrive to China and stay here five years? that we recommend at the moment! I have been thinking for a long time on the topic of my first article about Chinese learning. Finally I decided to make an interview to one of the first Chinese people I meet in Beijing. I’m talking about Luna, a Chinese language and culture teacher. She has taught mandarin in several schools, including the Ecuador’s Confucius Institute of Quito and Guayaquil. She has also collaborated with the European Science and Technology Fellowship Programme, which brought 58 European researchers to China during the period 2009-2012, and contributed on the elaboration of some HSK exams. World is small. And the internet is even smaller. In early February I joined the Hacking Chinese Characters Challenge. One of the rules decided by the guy that proposed the challenge, Olle Linge from Hacking Chinese (check it, it’s one of the best resources out there to learn Chinese), was that we had to connect via email with the two people that joined the challenge before and after us. 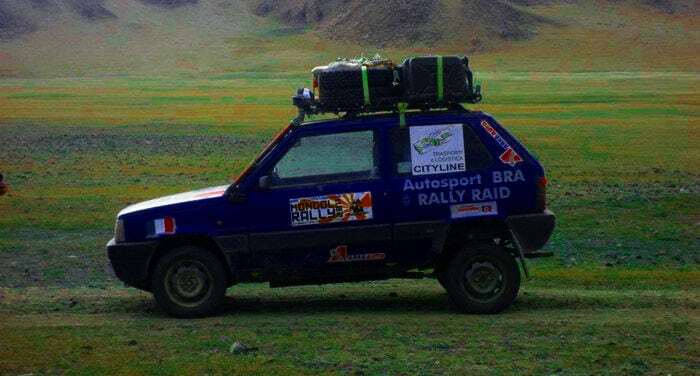 Today we continue the interview to Pietro, which in 2011 crossed in a Fiat Panda the sixteen thousand kilometers that divide Italy from Mongolia. Here you find the first part of the interview. 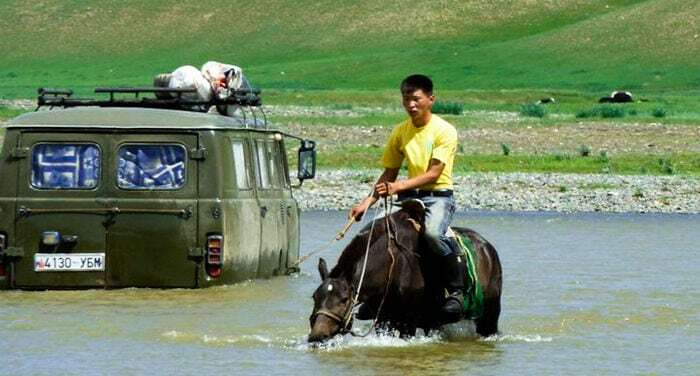 Mongolia is often described as a “very poor” country. What’s your take on this subject? The word “poor” has a western connotation. The Mongolian population that doesn’t live in Ulaan Baator (the capital of the country) is simply nomad. We think that they are poor because their difficult life conditions are completely out our standards. The heroine of this adventure. Pietro contacted me a couple of weeks ago because he’s playing with the idea of moving to China. In one of the emails that we exchanged he told me that last year he traveled from Italy to Mongolia by Fiat Panda. …in Mongolia with a Panda? I got curious and asked him some more questions. He even wrote a short book about its adventure (you can download the pdf of the book here but is only in Italian).